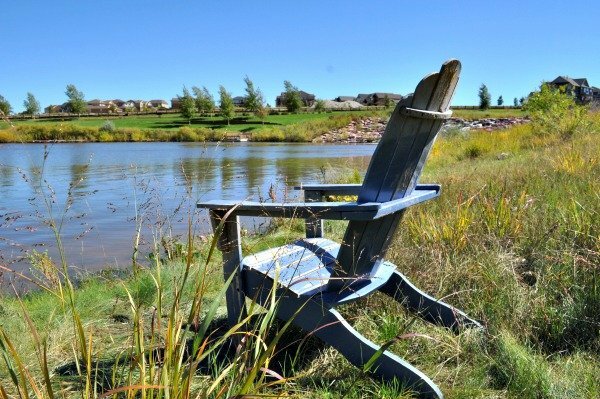 Southshore in Aurora, Colorado is one of our few waterfront suburbs with new homes. Real estate here sells mostly $300,000-$600,000. I recently had a client choose Southshore as their destination to move. 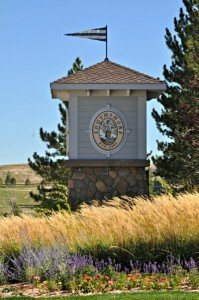 I learned quite a bit about this new and relatively unknown community in the Denver suburb of Aurora, Colorado. I want to share the information I learned. This is a really exciting community! Southshore is a newer community in Aurora, CO started by Village Homes in 2005. 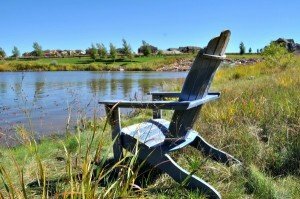 “Southshore” is really on the South Shore of Aurora Reservoir and the entire community is based on “life on the water”. You’ll notice the monuments, sub community names, and overall feel is truly about water. Streams, waterfalls, playgrounds, ponds, greenbelts, parks and trails wind their way through the neighborhood and the trails connect to Aurora Reservoir. 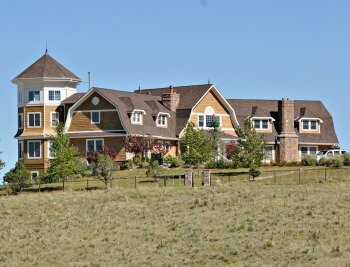 The Parade of Homes was at Southshore in 2007 and it was the first time I had seen architecture in the Denver metro area mimic that of the East Coast. Most homes in Denver’s suburbs are fairly predictable in their architecture. If they remind you of any style is is that found in Southern California. They are open and contemporary. But, these homes are different. They are more traditional and have architectural lines that remind you of historic homes east of the Mississippi river. As you wind through the neighborhood you’ll come across the Lake House situated at the highest point in the community overlooking Aurora Reservoir and views of the mountains. I would say it’s the centerpiece of the community. 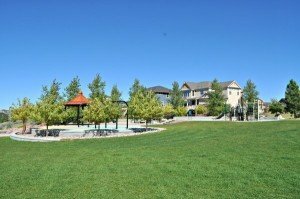 The Lakehouse is the clubhouse of the neighborhood only accessible to residents and features a pool, fitness center, child care center, exercise classes and a firepit to enjoy the nice evenings. You’ll also notice the Boathouse below the Lakehouse, also only available to residents. It’s a scaled down version of the Lakehouse and great to sit out and enjoy the sunset. In the summer paddle boats are available to use on the water. Southshore is part of the acclaimed Cherry Creek School District and newer schools are located nearby. They are highly rated and well funded. Southshore has easy access to the Denver Tech Center via E470, it’s a short jaunt to Denver International Airport and it’s right down the street from one of the newest shopping destinations, Southlands Mall. 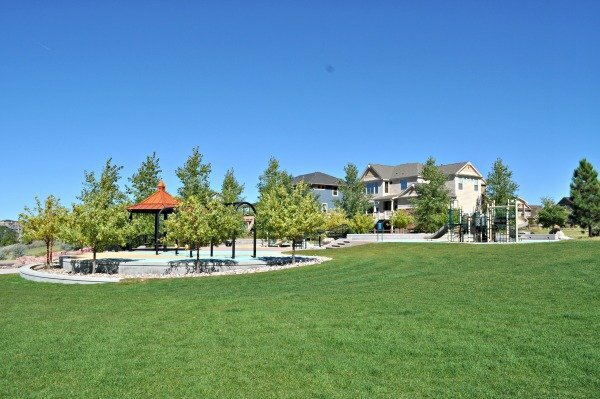 These Aurora homes are generally priced from the $300’s to the $600’s, although with the past parade of homes, a few homes can reach into the millions. Would you like more information about Southshore in Aurora? Just fill out the form below and I will happy to send it along.